Full Review by Bobby DeVito-- "Shokunin!" If this clip isn't enough... Click Here for the Hi-Gain bonus vid! 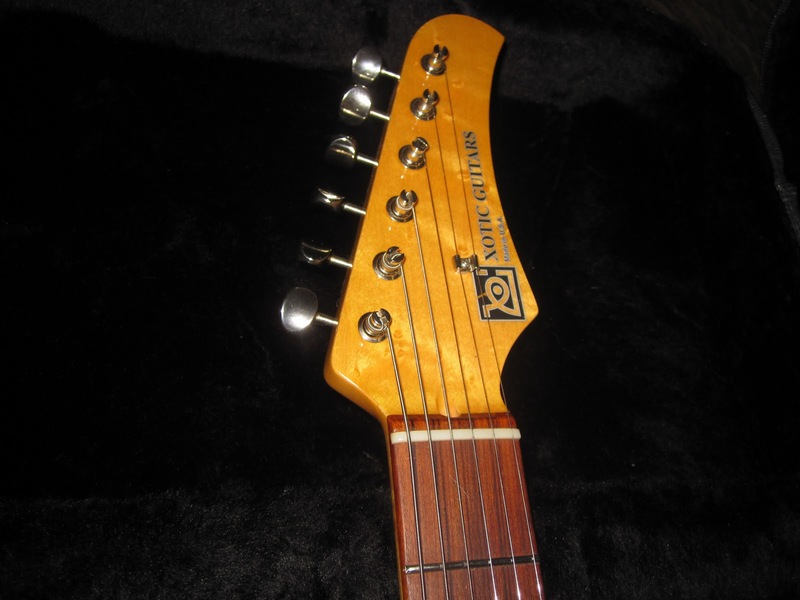 As a longtime lover of all things superstrat, and having owned fine examples from Tyler, Anderson, Grosh, Sadowsky, Charvel/Jackson, and many others, the Xotic Guitars certainly had my attention. But what was it about these guitars that made them different from all the other superstrats on the market? There was something very elegant yet simple about these guitars, and a certain ineffable quality to these guitars that was not readily apparent upon first glance. That quality is Shokunin. "The Japanese apprentice is taught that shokunin means not only having technical skill, but also implies an attitude and social consciousness. [...] The shokunin demonstrates knowledge of tools and skill with them, the ability to create beauty and the capacity to work with incredible speed. The value of an object is dependent on a subtle combination of skill and speed [...] In short, the pride of the shokunin is the simultaneous achievement of skill and speed. One without the other is not shokunin. Shokunin craftsmen from the Japanese tradition strive to use their materials to the fullest, with as little waste as possible. They are also more concerned with function over form, which explains what appears to be a "plain" looking exterior. But beauty is sometimes not found in elaborate inlays, fancy hardware, and gaudy finishes. Perhaps it may also be found in elegant curves, simple designs, and extremely well made yet functional instruments like the XS series guitars. At a passing glance, the XS series guitars appear like most other "S" style instruments -- a double cutaway contoured body designed by Leo that has been one of the most popular guitar designs ever. But with closer inspection, we find a much more elegant interpretation of those contours and curves on the XS guitars. The simple and flowing cutaways with a narrower horn on both the top and bottom horns, the blade cut style back cutaway that makes the guitar sit against your belly like it was made to be there, and the beautiful yet simple sunburst finish. This particular XS-4 was made for Josh Smith, a very talented ex South Florida guitarist and blues phenom who now lives in LA, and the guitar features all of his specifications -- which anyone can order from Xotic if they so desire, as each of these guitars is custom made one at a time by luthier Hiro Miura. This guitar has the XS-4 custom pickup array, with two independent single coil pickups in the rear position, and the standard neck and middle single coils, each pickup wound by the Raw Vintage part of Xotic. 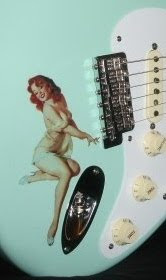 There are pull switches on both tone knobs -- the bottom tone knob pulls out to give "Tele" like tones with the back and front pickups on at the same time, and the middle tone knob pulls out to activate the extra rear single coil pickup to give humbucker-like tones in the rear position of the 5 way switch. Between these two switches, and the standard 5 way switch, there are a myriad of tones to be found in this guitar with what appears to be no extra controls -- which is another aspect of Shokunin -- to enable maximum functionality with a simple design. 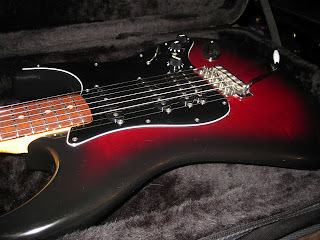 The neck is a big fat affair that reminds me of the Fender "Nocaster" neck shape, it's big and full, yet comfortable. Josh said he had his favorite Strat neck measured, and this neck is a clone of that guitar. It features a Pau Ferro fingerboard, with medium jumbo stainless steel frets that feel like glass, very smooth and well finished. The neck is lacquered and glossy finished, with a nice vintage amber tint. The body has a very thin maple top, with alder as the main tonewood, and a red to black sunburst finish. No fancy quilted or flamed maple top, this maple top is fairly plain and meant to enhance the tone of the guitar, not the looks. Another nod to the Shokunin style. Tonally, I find this guitar to be one of the most "alive" and resonant superstrats I have ever played. It easily ranks up there with any of the other top builders of these style guitars. Where I think the Xotic guitar excels is in the modern specs and playability combined with vintage feel and tone. The Xotic guitar captures the vibe and tone of a well played vintage Strat combined with modern playability and features in a way that is different than any other maker. When you hit a chord, the neck resonates so much it almost feels like you have a hand massager vibrating your palm. The tones this guitar can produce are quite varied, and it sings even unplugged -- plugging it in allows the Raw Vintage-wound pickups to be heard, and they are a really good match for the guitar. As someone who has owned and played most of the more well known builders superstrat guitars for 2 decades now, I feel I have a pretty good frame of reference for these style guitars -- and the Xotic is one of the best I have ever played. For anyone seeking a fantastic cross between the vintage vibe and modern playability, the XS guitars are one of the best in the world. Sure, you can get much fancier guitars...but if you want something that speaks to your soul with simplicity instead of gaudiness or excessive features, you might want to give Xotic a look. If I had to compare the Xotic guitar to other builders I have owned and played, I would say it combines elements of Tyler, Sadowsky, and Fender Custom Shop instruments. But the Xotic guitar has a feel and vibe that is uniquely Xotic, due to the way Hiro Miura builds them. This is the kind of guitar that one could play for a lifetime, and discover the subtle nuances and beauty of it for years to come. Xotic also has a full range of upgrade parts for guitars, including the popular Raw vintage saddles, tremolo springs and pickups, Xotic effects pedals, guitar cables, and more. All of their products seem to adhere to this Shokunin spirit of craftsmanship, and they have been very successful in the marketplace, especially with their effects pedals. 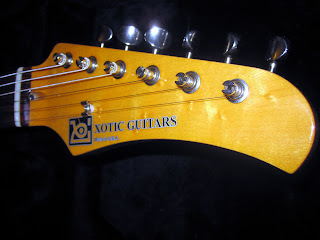 Xotic guitars will never be as ubiquitous as the major builders, since they are essentially a one man operation, but for the select few an Xotic guitar could be a real soulmate.